Search for all "17-beta-HSD1 / HSD17B1"
Rabbit anti Bovine, Canine, Equine, Guinea Pig, Human, Mouse, Porcine, Rabbit, Rat 17-beta-HSD1 / HSD17B1. 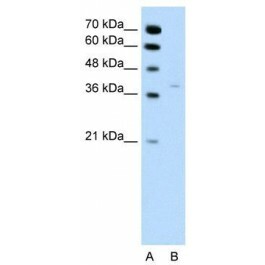 The immunogen for anti-HSD17B1 antibody: synthetic peptide directed towards the N terminal of human HSD17B1. Synthetic peptide located within the following region: MARTVVLITGCSSGIGLHLAVRLASDPSQSFKVYATLRDLKTQGRLWEAA. 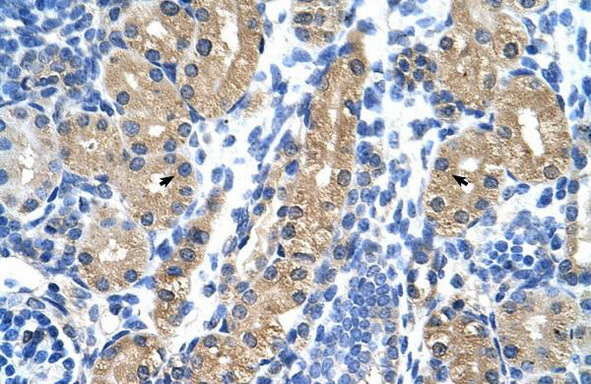 HSD17B1 is favors the reduction of estrogens and androgens. It also has 20-alpha-HSD activity. It uses preferentially NADH.